I would also like to point out that is a shame that the most PR funtoo seems get is because its 'anti-systemd' stance, and even drobbins makes stupid threads just to mock systemd, I think funtoo has more than that and some really neat ideas, I would have liked to try and contribute more (Look at the 2nd most viewed thread in this subforum after the screenshots one, is the one with my wallpapers), but this kind of childish attitude, and some other critisim I won't state here discourages potential contributors, altought it might attract more users 'running away from systemd', and not really trying funtoo because they thought they might like some of the other neat ideas, than just putting effort to block a package from getting installed, wich is what the dev team really does I'd think they would be better and with less work if the policy was just non-solve an redirect to gentoo systemd bugs. Its a shame you keep going. I use Funtoo because I trust Daniel and his decisions, mainly because we think alike on a lot of issues. I loved Gentoo in the early days, and realized that its decline was because they didn't listen to their founder. Basically, I followed Drobbins here from Gentoo. It was a lucky coincidence that we have similar views on systemd. To insinuate that we came here because we hate systemd is just more of you lashing out. To do something like that would be childish, and you make this thread personal when you accuse people of childish things. You have a lot to learn. We don't like systemd because we tried it and evaluated it on its own merits, ran comparisons, and studied its design philosophies and, based upon our experience and how we think a Unix system should be administered, we simply don't think systemd is a good choice. Worse yet, the supporters of systemd, like yourself, feel some need to attack people that don't support your view. You feel that if we don't like systemd, we need to be educated. Well, that's insulting in the extreme! How dare you assume we can't make our own choices? And the systemd supporters like yourself, mainly due to pressure from Redhat (who's employee created this mess) are removing OUR freedom of choice. Linux had always been about choices and freedoms, and I VIOLENTLY oppose an initiative that seeks to remove the 'Free' from my 'Free Software'. Give the rest of us some credit and quit pretending we're idiots. Go have fun with systemd, just leave the rest of us out of it. Again, I was perfectly happy not promoting systemd here, actually look around you'll notice the only thread I ever created was the wallpapers one, otherwise have just been responses to others asking about help mostly, It was you and pr1vacy who revived this thread not me. It's two individuals who have arrived at Funtoo for different reasons so I don't get the point you are trying to make. I use gas in my car. You use gas in your car. Does that mean we have the same beliefs? I do hate systemd. FACT. Everything about it. FACT. Invasive and growing. At this rate there will be only one Linux to choose from. Redhat. Two seperate people. Two seperate opinions. My point was and I stated it previously "I have percived funtoo getting pouplarity mainly for not using systemd and taking the position that it will never give support for it, and not the other neat Ideas I think are better than the effort of keeping systmed away and not going the way gentoo did, leaving it to be a choice by the user", I just did't want to keep making this much longer, and I was not talking only about you, but more about other instances I have read around the web also. Nice picture BTW. I dont hate nor love systemd, I just use it and like some of it's Ideas, the same way I use funtoo and other init systems(BSD) and like some of it's ideas. PD: Have you looked into the amount of software that gets maintained by people working at redhat that is kind of defacto among many linux distributions ( e.g. A lot gcc, and the complete coreutils, I think the still maintain sysvinit) and they employed the likes of the once 'Second in Command' in the Linux Kernel Alan Cox for most of his career until retirement? I would actually like that to be less but I'm at least glad they follow the open source model, altough I do suspect that if they decided to be more privative a lot of the clever people working ther would leave, like what happened with Oracle and Sun. In defense of systemd, I understand the choice to include udev functionality and I likely would have done the same. It makes sense to be able to get the information directly from the kernel as an event source. But, none of the rest of userspace should care which udev you use nor should the original udev be changed. The fact that they saw fit to enforce their idea as the 'one true way' is wrong. They should emulated existing functionality and moved on. I think you already know this, but you can do away with the bootloader for UEFI, with the CONFIG_EFI_STUB, and boot the kernel directly from the EFI menu, and compile in your command line arguments, but because of the way you wrote that I guess you don't like UEFI either. About udev I would say I didn't see the need to put it into the systemd repo when it was being being widely used, and In fact was a shady and totally unnecessary thing to do that in the end only hurted systemd anyway, Kay Sievers is not anyones favorite person in the linux world anyway, it's a shame there was not other better hacker at dealing with the community to take the udev maintance(I think it was his project from the beginning anyway, I wish somebody else had made udev first I guess). By the way, since you think stdin and stdout are so awesome, this might be of your interest, the presentation is quite interesting. and a document to keep around for reference. EFI is fine, UEFI is a joke. And mine is broken. It actually looks for the Microsoft EFI file to boot and none of the standard locations so making dual boot means renaming the MS loader so grub can chain it and putting grub where the MS loader is at ... and any hiccup causes MS to replace its loader which clobbers grub. "Made for Windows8" Luckily, there is "Legacy Mode" and I gave up on dual boot anyway. As for udev ... its had a long history. I only assume they have good reason for getting the kernel hotplug events as I can see a use for that in their "kdbus" scheme, but as you said, its been mismanaged. Man, you are too defensive. You keep saying you're not dumb and all but I haven't found the part where they call you dumb. As I see it, you're the one assaulting g-j- while he, objectively, writes his opinion on things, backing it with code. Please, do your best to defend your point in the same way or as best as you can. Bashing people gain you anything. Remember, respect is earned, not asked for. Well, in my case, I have nothing against Red Hat. As you say, they invest in maintaining a lot of FOSS. Fedora is the lead, which the upstream for their RHEL. While I collaborated more actively there, we were always pointed upstream. The author of the FOSS is the one we should support and help in every way possible. That philosophy is what brought me to them. Fedora, as the upstream, is an awesome project. Very collaborative and with a great community. Red Hat, mainly, takes care of the resources it needs to function. Besides, they've open sourced a lot of cool software; following their own FOSS commitment principles. You don't have to say something directly to imply something. Perfect example, I mentioned the respawning of GDM ... an example of a bad practice and the particular mindset of systemd that I disagree with. To respond by saying, "Well, I figured out how to make it stop ..." 1 - Avoids the entire point. 2 - Implies that I couldn't figure it out. I think everyone in this thread can figure out how to make it stop, so ask yourself why such a comment was made if not the implication I noted? And I don't need to see code at all. This isn't a debate. Once again, no one can give me any benefit to using it. It goes against my philosophy and what I think is right, and DEFINATELY goes against the atmosphere of free choice that the Linux community has enjoyed for the past 2 decades. Code is, s I said previously, an attempt to 'educate' me. This implies I need education. Every systemd supporter seems to think that I need more education if I don't agree. Do you not see how patronizing that is? I don't need education! I can disagree! I have managed Linux servers for over 15 years. The only times I have had serious crashes, it was to do with systemd. I have even had systems that did not have systemd installed crash, because of code to do with systemd. I am, of those, who actually have fun using Funtoo. Statistically speaking it's impossible for them to all be blockheads. As far as switching for the sake of fashion? I think that's what some people have accepted as THEIR reason for switching. It's a coping mechanism. That's what some people do when the distro they are using decides to yank other options out from under them and maybe they aren't advanced enough to prevent it from happening. By your own admission you haven't read the code and aren't aware of the specifics. That makes me wonder why you would be so eager to convert to systemd?? Pure propaganda. I'm guessing you work for RHL. I think there are quite a few excellent reasons that systemd is considered trash by the majority of funtoo users. I would also venture to guess that the average Funtoo user has had a decade or more of server experience. The current init isn't broken or dysfunctional enough to justify making a dramatic switch to systemd. I'll take alienation. Okay Lennart. Jokes over. Go back to RHL and quit trolling the funtoo forums. Well one of the key points of Funtoo is the anti-systemd approach. Everything is working well without it. Why would anyone want to pollute this OS? I'd put Funtoo up against any systemd based distro and we can compare performance and reliability. No doubt who the winner will be. One thing I learned is it's hard to fight a distro that isn't moving in the direction you want. It would be much easier for you to move to Gentoo or a systemd based distro then stick to Funtoo. I fought systemd in Debian testing and there was virtually something new to weed out on a three times a week basis. I gave up and came to Funtoo and have no regrets. If Debian dumps systemd tomorrow I'd still stay with Funtoo. The core group in charge of this distro are top notch. What functionality is OpenRC lacking exactly that you need on a daily basis for your personal use or server use? By your own admission it boots fast, get's the job done and is easy to use....but since other distributions decided to be wreckless and make the switch you think you need to do the same too? Sounds like you want to switch for the 'sake of fashion'. 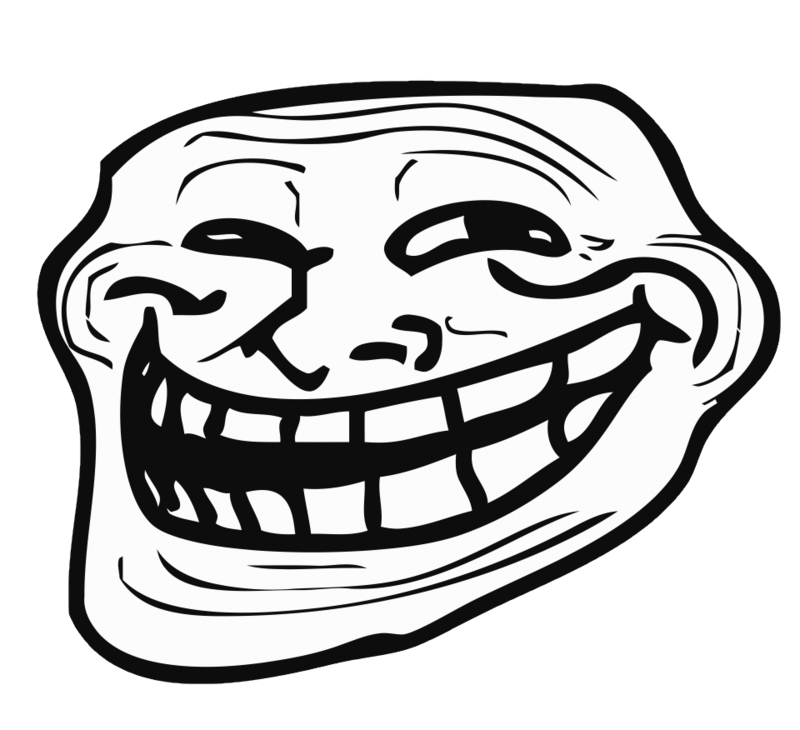 You are complaining that Funtoo isn't a serious alternative because its not like everyone else? IMHO, its the ONLY alternative! It's not much of an alternative if its exactly the same as everyone else. And not giving you a choice? Uhmm ... we aren't getting a choice from any of the mainstream distros, and they have way more resources to maintain different "choices". I think you should bug them to support OpenRC! That would be more fair. As for why the other distros chose to switch, its because of systemd's practices (Embrance, Extend, Extinguish? Anyone else remember that philosophy?) where it looked like they would have to maintain such projects as udev and policykit and Gnome by themselves because of systemd dependencies. At the time the decision was made, that was the way it looked. Now, thanks to a very few people (wish I could remember their names, they need to be thanked and sponsored) those projects have non-systemd ports. We may get Gnome a couple months late, but we get it. Funtoo is the brainchild of our BDFL ... if you trust him on the rest of the OS, trust him on this issue too. In either case, its not a Democracy :) You don't get to choose. It IS Open-Source, so you could fork it, or back-port the changes to Gentoo and then run systemd all you want. Just don't call it Funtoo if it runs systemd. However, when it comes to drinking the systemd Kool-Aid or the Funtoo Kool-Aid, I choose Funtoo. No, they're just other people's opinions and experiences. The fact that they're different than yours doesn't disprove them. Systemd is exactly what Kernighan and Pike referred to as a "monolithic self-sufficient subsystem." It's a collection of tightly coupled binaries, each of which does more than any single program intended for its purpose should in a UNIX-like environment. It has nothing to do with hardware and OS bundling. We're talking about the UNIX philosophy - portability across hardware was a key attribute from day one. They were specifically talking about what programs do and how they interoperate. Your comments suggest that you're not familiar with the UNIX philosophy. Wikipedia has an entry that is a good starting place to learn more about it. You're free to think that the UNIX philosophy isn't really important today. I believe that it was a key factor that enabled much of what we enjoy in the open source world today and that's important to maintaining those benefits in the future. Your numbers here are nonsense. 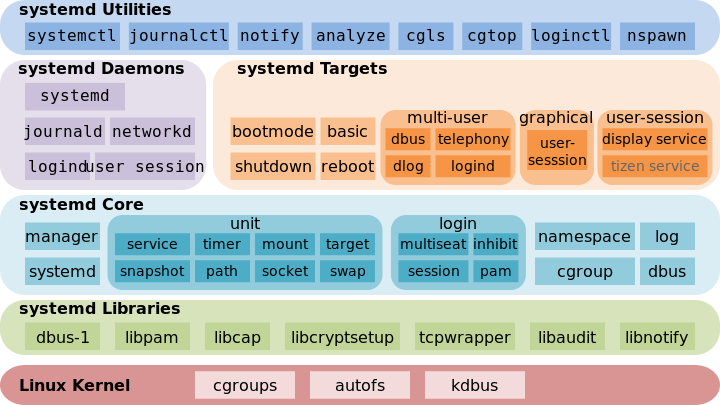 The systemd main function pulls in tens of thousands of lines of code from other source files. Do you really believe that 2k of code compiles into a 1.5MB executable for systemd but 40KB for sysvint? We're talking about a binary that is forty times larger. A person of the age that I seem in my picture recognizes that when someone says something ridiculous sometimes it's better to laugh at it than bother to argue with it. I don't care if you like systemd. Feel free to use a distribution that supports systemd. You can sing its praises in the forums for those distros to your heart's content and you will never find me there arguing with you. I believe that systemd and the mindset that spawned it is harmful to Linux and open source in general. I believe that it's important that we continue to have distributions that are dedicated to working without it. For that reason I support Funtoo and I will argue against anyone who comes here and claims that systemd is a good thing or that Funtoo should support it. So, is this how we discuss technology?... Please, keep your opinions technical, if possible. No, I haven't read the code for SystemD. While at it; confessing, I haven't read the code to the Kernel nor Python; and I use them. That doesn't mean I don't trust the software. There are hoards of people working on it, openly, and that makes me trust the code. Same goes for SystemD. Besides, I've used it and, in my experience, it has worked pretty well. Not only for init things, but for containers and resource management; as well as logs and stuff. I do not work for Red hat. I have maintained a few packages on Fedora, though, for quite a while. What OpenRC lacks for me is the resource management part with cgroups. Also, the logging system in SystemD is really cool to have. Besides that, I like containing web apps using SystemD units; for example, a ruby app or stuff like that. Those are some of the things I'd like to have that OpenRC doesn't provide, AFAIK. Nope. Supporting systemd means supporting two versions of all the things that systemd had polluted. Why should Funtoo give you a choice when none of the major distributions do? And again, I don't care what everyone else does. I don't use bind for DNS. I was one of the first to stop using sendmail. I was a very early proponent of Linux. I've never done what everyone else does, and the Linux community hasn't really followed such a mindset in the past. You assume that the switch to systemd was made because its better, and not due to duress. And from what I saw that's not what happened. Debian is a great example. The history of the rift there is all open for reading. Again, you are free to run it on your system, but no one here wants it and any support means slicing more time from already overworked maintainers. Redhat has plenty of people, paid people, and they don't offer an init alternative. Why should funtoo? Is there a 3rd option? I thought funtoo was looking into revising the init system. It may be interesting to look at a set if goals that could satisfy the technical needs of both systemd and openrc users. I say 'technical' since API level compatibility with systemd for Gnome support or something might be useful, but simply doing it the way X does it (where X is systemd or traditional SysV Unix) should not be a factor ... only the actual benefits of an approach. Obviously, such a thing would be a huge project, but I think we have the expertise to pull it off. Yet, I'm not even suggesting coding such a thing at this point, only a change from the current circular banter to what we propose an ideal init would look like. Well, I don't see what is the problem with alternatives. We support exim and postfix, for example. There're a lot of options and this is just that, IMHO. I assume that developers accross distros know what they're doing. I don't see anybody pushing anybody to adopt SystemD. I think you're assuming otherwise and I'd like to see some proof of that, if you have any. I agree that the maintainers have a hard time and that they're overworked. I appreciate everything they do. On the other hand, it's their choice and they're up to the task. In fact, It might even prove to be simpler to maintain stuff instead of going overboard not supporting it and making everything still work; which is the case of Gnome, at least. I don't agree with you speaking for everybody. Please, speak in your name only and let "everybody" speak for their own. It is not about what Red hat offers... it has never been about that. I don't think Funtoo keeps a tab on this. Your own post is my proof. You said it would be easier to accept systemd rather than maintain changes to projects such as Gnome (which is another RedHat funded/controlled project I might add). You act like it was extra work to remove systemd support from Gnome, like without the changes we'd have a choice. The opposite is true. Gnome is hard dependant on systemd and it was changed to allow a choice. So, your example is perfect. Gnome's reliance on systemd pretty much causes the distro to switch to systemd. Even if you don't install Gnome, the requirement for systemd in order to be able to run Gnome causes so many changes elsewhere (the main complaint many of us have) that you are basically strong-armed into a full systemd switch-over. Sadly, I like Gnome. Even anti-Gnome distros switch to 'jump on the bandwagon' as many have suggested. Your line of thinking is exactly what happened and EASY took over rather than any technical merit. See Google for sticky details.